HelpHound Blog: Local Heroes? 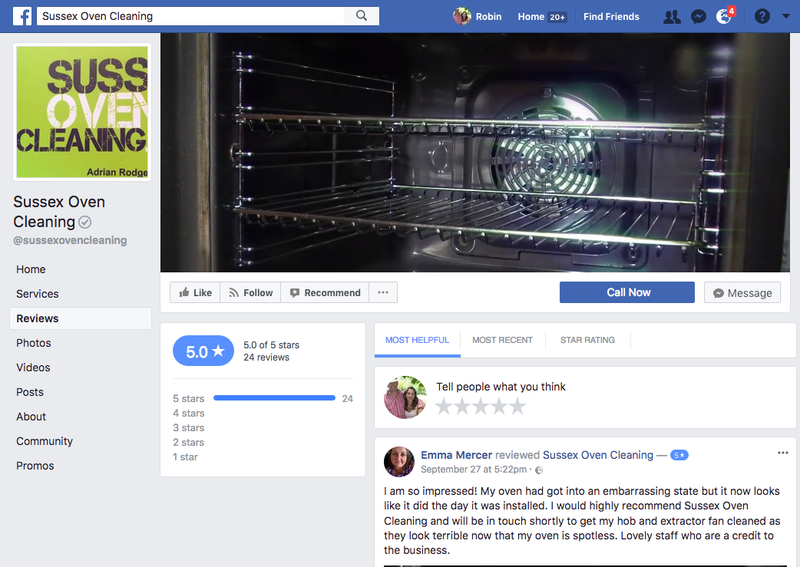 Maybe there is a better solution? Many of your will have come across Local Heroes (they have a big campaign on TV at the moment). The business model is simple - the tradesmen sign up to local heroes and Local Heroes give them leads, for which they deduct 20% from the invoice they send on the tradespeople's behalf. 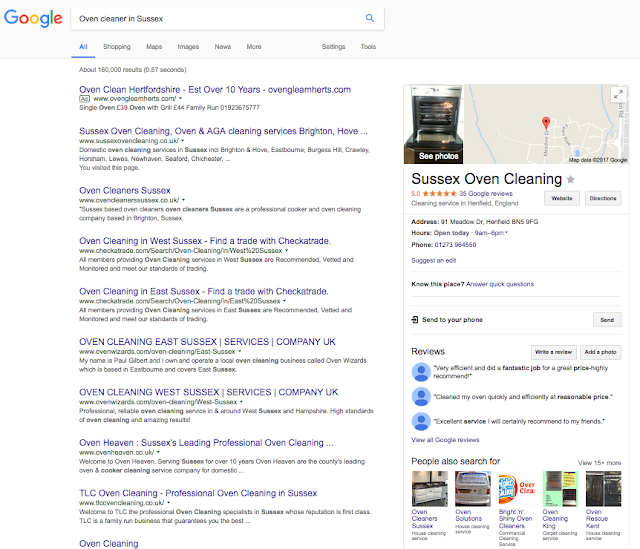 Note the search term used here is not their business name, but the kind of search anyone living in Sussex might be reasonably expected to use - and it returns our client's Knowledge Panel! 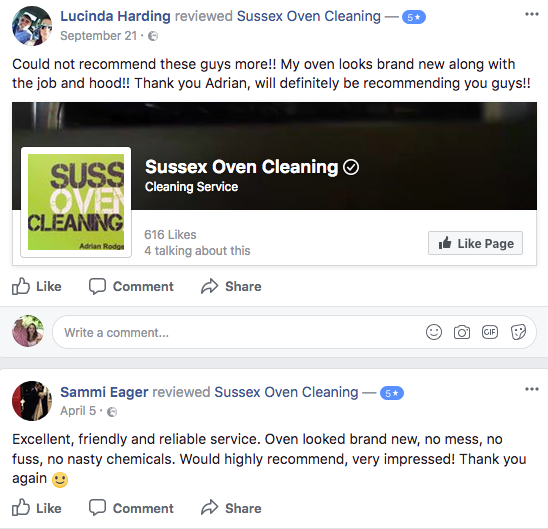 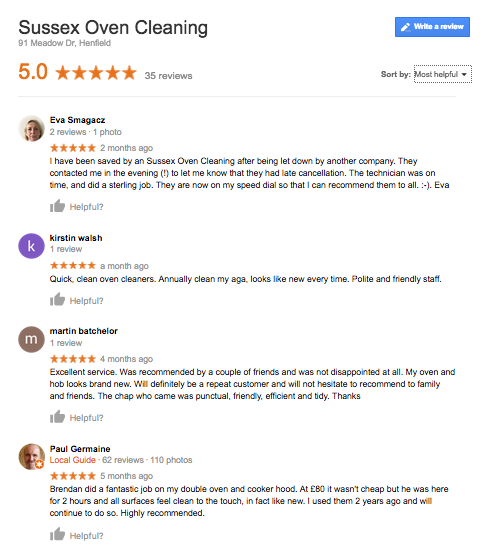 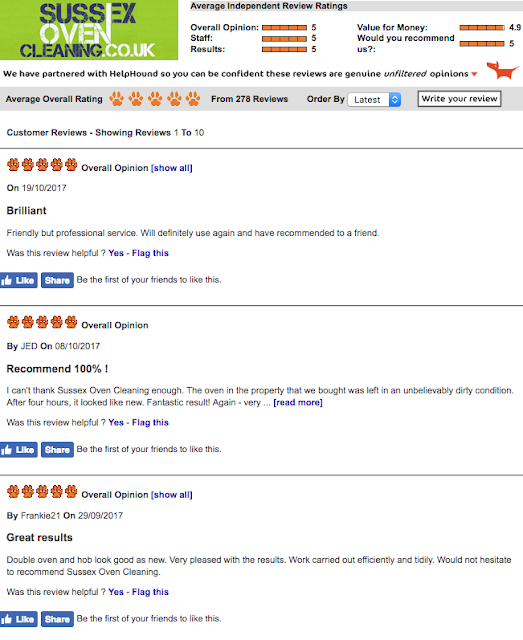 We think that tradespeople would be well advised to take a leaf out of Sussex Oven Cleaning's book and get professional review management working for them before contemplating giving away twenty per cent of their earnings.